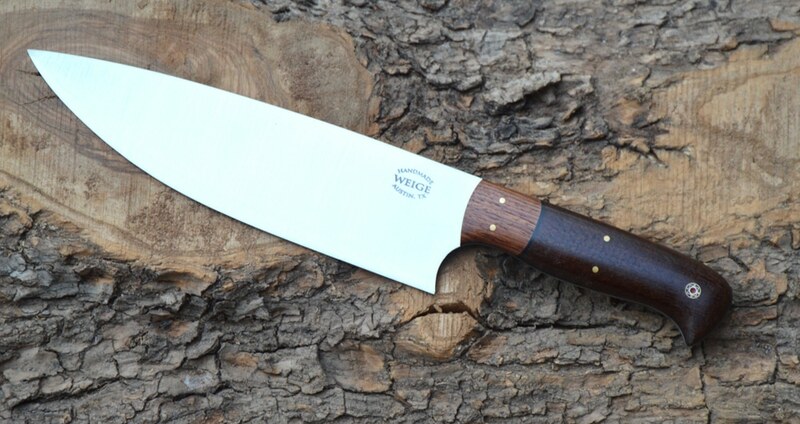 Another custom smaller chef knife. 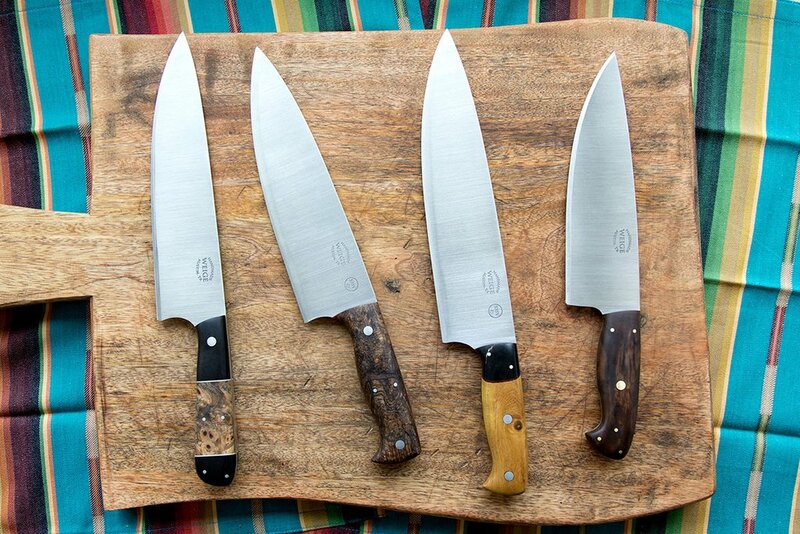 Home/Finished knives./Another custom smaller chef knife. 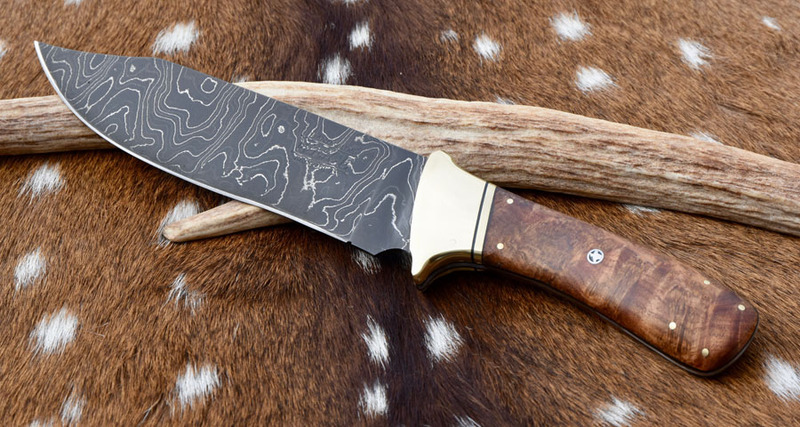 We’ve been working on our smaller custom knives still and completed a 10.25″ overall w/ a 5.5″ blade. 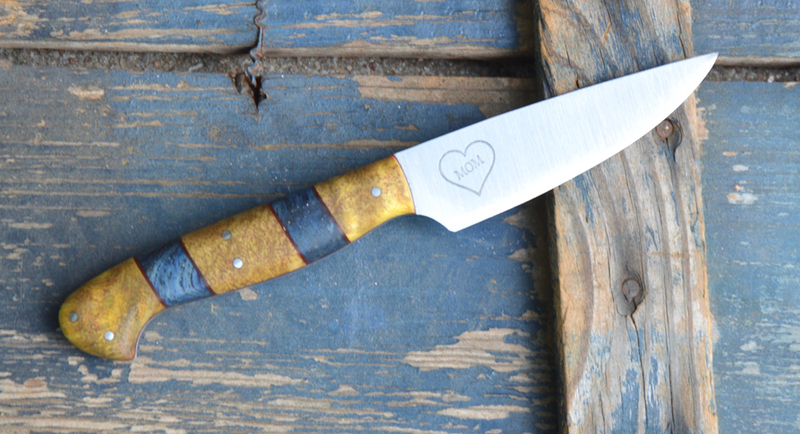 The photo isn’t so great on this, but it’s got a desert ironwood handle w/ a bone linen bolster. It has red, blue and tan liners w/ a solid brass pins and in the center is a one of a kind prototype mosaic pin handmade especially for us. 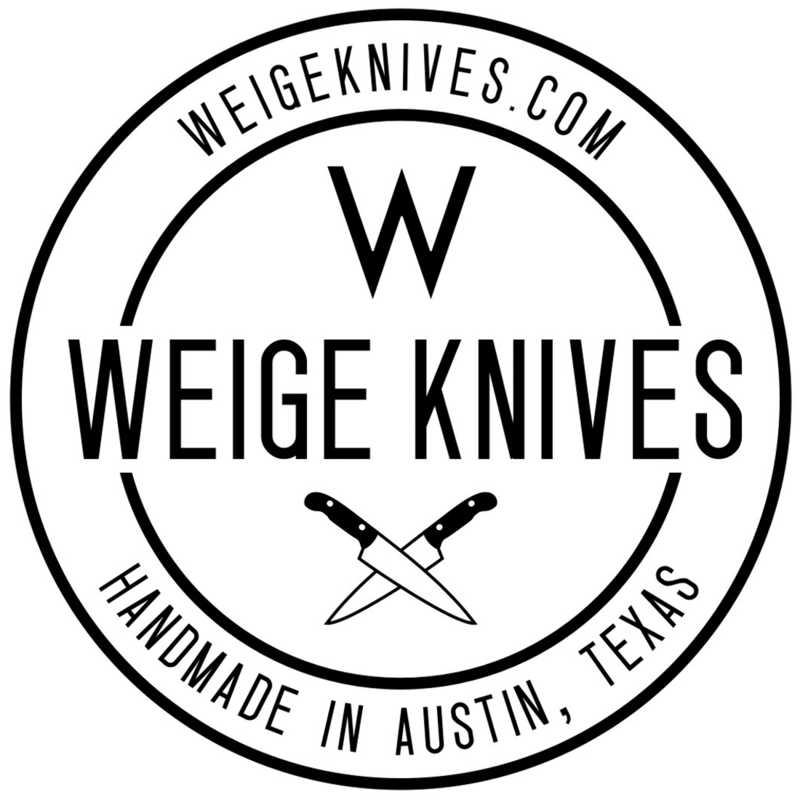 I love these little knives and they’ve quickly become my favorite knife to use in the kitchen.